Please find below an invitation to provide a quotation for a series of forthcoming digital assessments and workshops. This includes the brief for the services that we are asking you to provide together with our Terms and Conditions. Bids shall remain open for acceptance for a maximum of 10 business days. The South East Midlands Local Enterprise Partnership (SEMLEP) expects to decide award of contract within 5 days of the closing date for submission of quotations. SEMLEP is not bound to accept any quotation or make any award from this quotation exercise. If you have any queries, please email James Stancombe on enquiries@velocitybusinesssupport.com. You are invited to bid to deliver one or both of the Velocity projects for digital assessments (Lot #1) and digital workshops (Lot #2). Velocity was established in January 2014 as part of the Wave 2 Growth Hubs (W2GH) programme, funded by the government’s Regional Growth Fund (RGF) that is supporting participants to create a growth hub that promotes economic prosperity and provides local businesses with access to a national network of resources, while serving as a single point of reference for small to medium-sized enterprises (SMEs). i. Design and implement a business support and brokerage service which provides the first stop for SMEs in the South East Midlands which are looking for help to develop and grow. ii. Design and implement a scheme of small, revenue grants which encourages and supports SMEs to implement their business plans, resulting in jobs growth. iii. Establish the partnerships and working practices for future development of the growth hub based on customer needs, UK and European funding opportunities and commercial income. A programme of business workshops on key growth issues for SMEs. The Department for Business Innovation and Skills (BIS) has provided a challenge fund to assist local enterprise partnerships (LEPs) in delivering innovative and sustainable activity that will help SMEs to improve their digital skills and ultimately trade and grow online. It aims to encourage and enable innovative local approaches to engaging and supporting SMEs to improve their digital capability, alongside national activity to raise awareness of the importance of digital, and connect SMEs to the best tools, resources and support available. The purpose of the challenge fund is to encourage LEPs to develop new and sustainable approaches to providing advice to small businesses and to boost collaboration with the private sector, while spreading good practice, and improving the evidence base for “what works” so that as many LEPs as possible can increase their impact on the digital capability of SMEs. Velocity already provides three business workshops (each of three hours duration) to assist SME’s to improve their digital marketing capabilities. Each workshop is being held at six locations across the South East Midlands from September 2014 to June 2015. How To Build Your Website is aimed at owners, directors and marketing managers who want to take control of their website or who want to keep the external, technical experts on whom they rely in check. It provides an awareness of the free tools available to help in managing a website and how to ensure that web pages are found by customers and by search engines and how to use Google Analytics. It is the most popular of the nine topics in Velocity’s full workshops programme, based on bookings. How To Be Found Online is for owners and directors who believe that they might be missing a trick by shunning social media or who want to know what more they can do to ensure their customers find or hear about them online. It provides an understanding of how to use ‘content marketing’ techniques, how to harness social media, blogging and search engine optimisation and how to create a content plan template. Driving Traffic To Your Website is for owners, directors and marketing managers who want to ensure their approach to marketing and social media is effective, carefully considered and mapped out. It particularly deals with how to schedule and blend messages across different marketing platforms. SEMLEP is inviting proposals to deliver the activities for which it has secured funding from the ICT Challenge Fund, as follows. Provide a digital diagnostic assessment which identifies the strengths and weaknesses of a Velocity customer’s website, social media and other, online marketing and sales channels and which provides suggestions for improving them via an action plan that includes referrals to national ICT support programmes on growth vouchers for digital skills, broadband vouchers, e-exporting and cyber security vouchers, Velocity workshops and/or a Velocity Growth grant, as appropriate. This digital assessment is to be provided to 200 SME customers by 31 March 2015. Leads will be generated by marketing activity undertaken by SEMLEP and its delivery partners and will include a profile of the business and its online contact details. The assessments can either be undertaken ‘manually’ or by an online tool and should be provided in a Velocity-branded action plan. The successful applicant will be asked to contribute to Velocity website copy and podcast or a short video (up to two minutes duration) of hints and tips for improving websites/online marketing to be included on Velocity’s own marketing channels. A total budget of £20,000 is available to deliver the Lot #1 digital assessments. Provide a series of 20 business workshops by March 2015 that complement the existing Velocity workshops programme and provide customers with advice and guidance on making the best use of ICT to boost business performance. SEMLEP envisages that this will include ten workshop topics delivered on two occasions at two of four locations in the South East Midlands. A minimum of 300 businesses are expected to attend the 20 workshops. The ten topics are: (i) online marketing for local businesses, (ii) strategies in paid digital advertisement, (iii) email marketing, (iv) making the most of mobile marketing, (v) marketing and running an ecommerce website, (vi) international online marketing, (vii) cloud-based computing for business, (viii) improving online sales conversions, (ix) making the most of Google+ and (x) YouTube marketing strategies. Please feel free to suggest alternative topics. The workshops will be contracted as a complete programme and not as contracts for individual topics or workshops. Each workshop will be of three hours duration (i.e. 9am to 12 noon). SEMLEP will be responsible for booking and managing venues and for marketing and management of delegate-bookings. 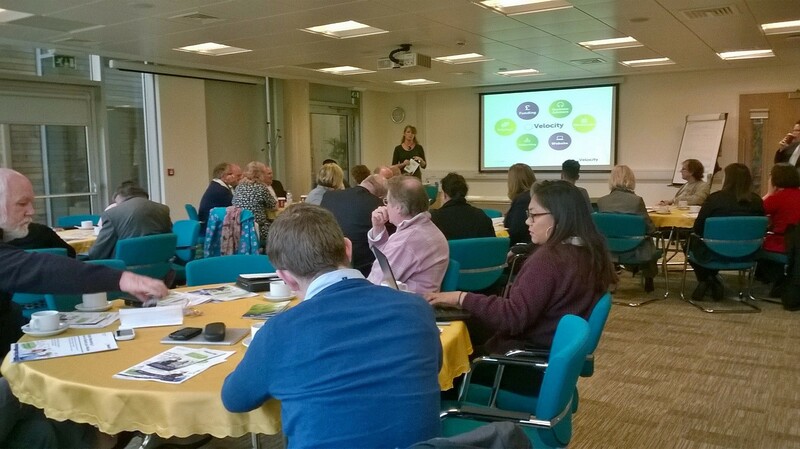 SEMLEP’s preferred locations for the workshops are Bedford, Bicester, Kettering and Milton Keynes. It would also like each topic to be delivered as a webinar. The successful applicant will be asked to contribute to Velocity website copy and a podcast or a short video (up to two minutes duration) of hints and tips on each workshop topic to be included on Velocity’s website and its other marketing channels. A total budget of £20,000 is available to deliver the Lot #2 digital workshops. You are invited to submit a proposal to provide the Lot #1 digital assessments and/or the Lot #2 digital workshops. It should include a fixed and firm price for the work required. For the Lot #1 digital assessments, please provide an example of this type of work that you have previously carried out. – a summary of the key learning points of each topic. For both Lots #1 and #2, please provide details of the personnel that will be delivering the activities and their experience of the work. Please submit your proposal by 12 noon on Friday 21st November. If it is shortlisted for consideration, you will be invited to attend an interview on Tuesday 25th November and the successful candidate will be notified by Wednesday 26th November. Please provide completed Quality information and pricing Schedule in Annex A and B along with your proposal. Submission will also confirm your acceptance of our Terms and Conditions which are attached. For more information or to answer, please contact James Stancombe, Programme Manager (Velocity) at SEMLEP, email james@semlep.com, tel. 01234 436123. Note: Failure to provide the required information requested may lead to your quotation being rejected. During the evaluation process you may be asked to provide supplementary information, or be asked to attend an interview to discuss your tender in more detail. References – Please provide details from two recent contracts you have undertaken that are relevant to this requirement.